Steam Dungeness Crab for 8 minutes. Once crab is cooled, crack crab and remove shells. 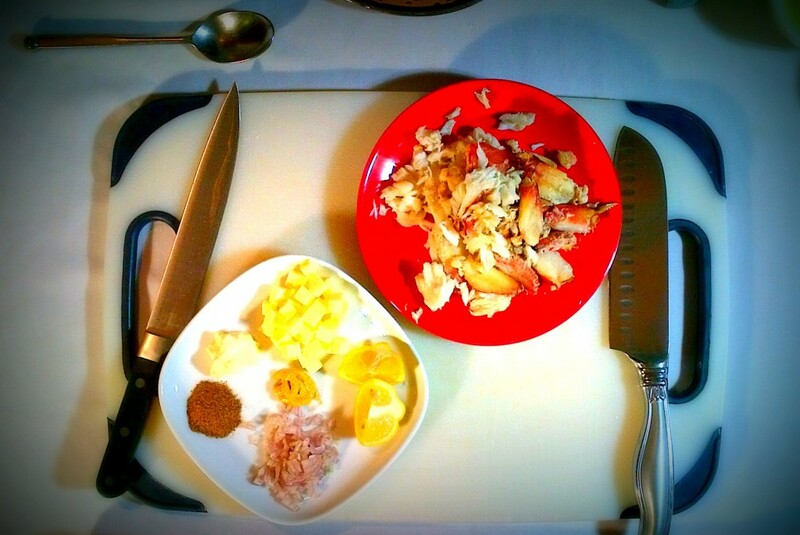 Set crab aside until ready to use. Drizzle cooked stuffed halibut with lemon before serving or serve with lemon wedges. This dish is best served warm nonetheless, it is also delicious at room temperature served on toasted artisian bread slices. Otolith’s owner, Amanda Bossard, most recently served stuffed halibut with a fresh green salad dressed with lemon and oil and a black quinoa and brown rice pilaf. The resulting menu was incredibly easy to prepare, satisfying to consume and appealing to the eye. The meal was special because it combined seasonal ingredients, provided a luxurious amount of diverse fats and flavors, and included nutritiously dense and balanced carbohydrates and proteins. Otolith welcomes 2015 and Wishes You a Wonderful New Year!